I am sorry to say I have stopped making my fairy houses with whimsical handmade fairy furniture handcrafted nature originals. 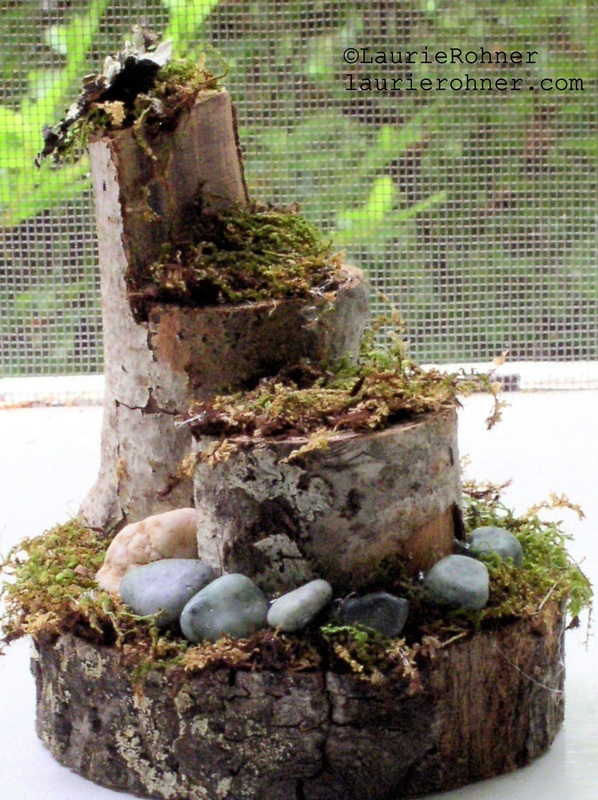 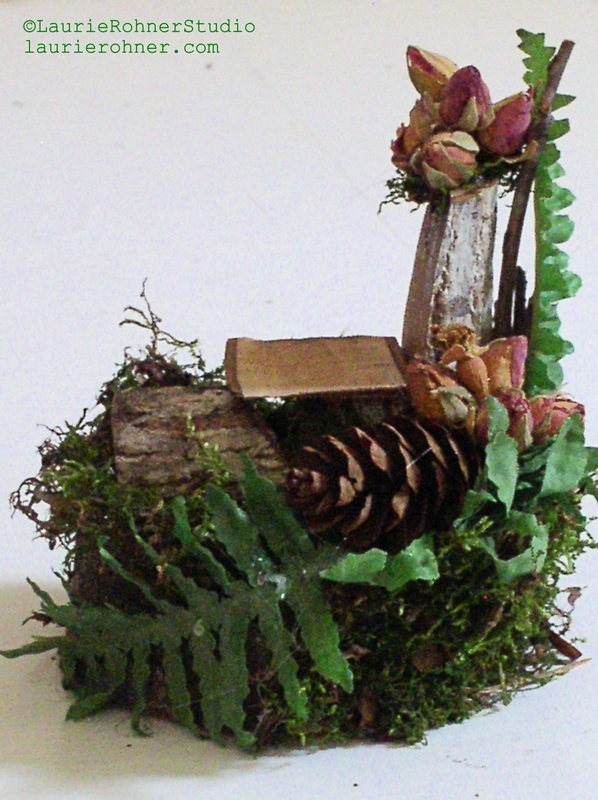 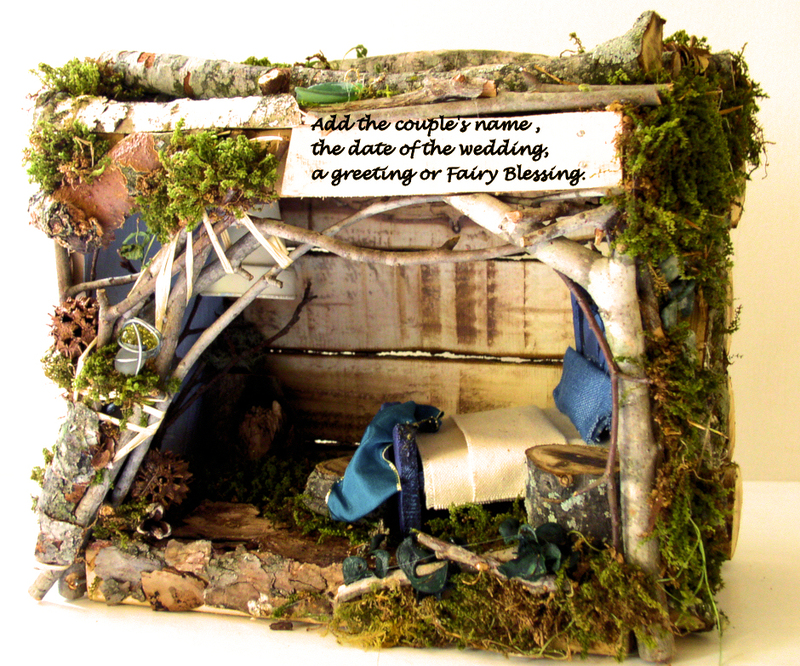 One of a kind custom sculpted woodland fairy houses covered with moss and furnished with fairy furniture are custom handmade one of a kind fairy sculptures from things I find in nature and enchanted woodland forests, moss, twigs, lichen, bark and and cones. 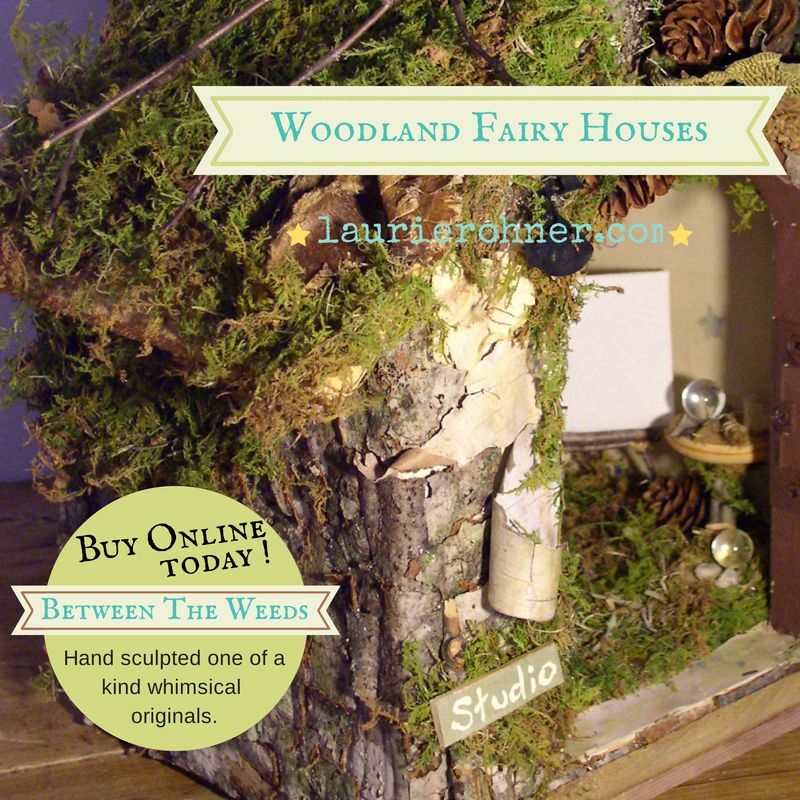 Discover my woodland fairy houses for garden or home. 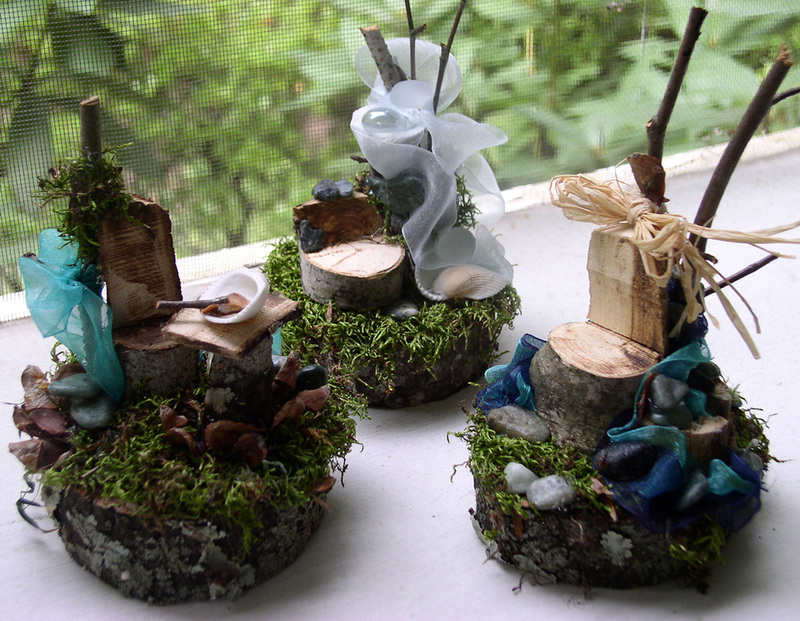 They all sold. 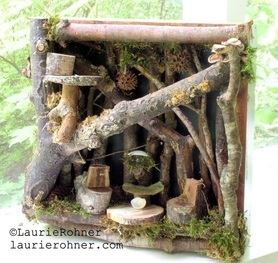 The magic of woodland fairy houses. 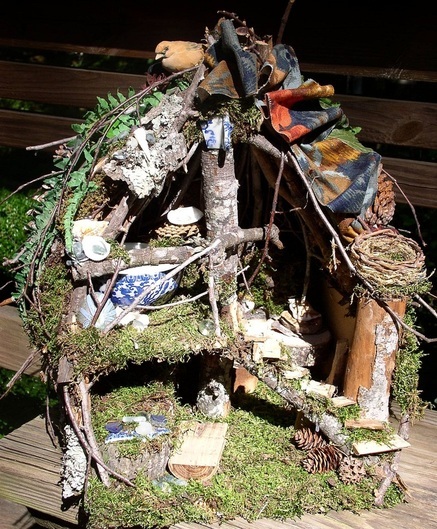 Once upon a time fairies lived in your garden or cottage amongst the flowers and trees in many custom built fairy houses. 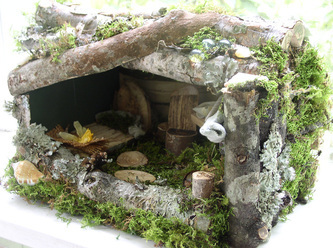 The mystical Woodland Fairies were delighted with what their people friends created and blessed their people friend's homes and families with natures joy abundance and love. Today only a few see the magical fairy beings and honor them with woodland fairy houses and fairy furniture while they live here in our world. 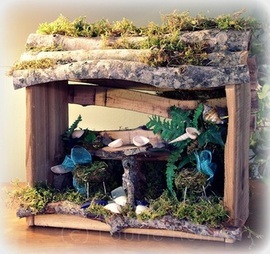 You may not see my friends but it does not mean they are not there. 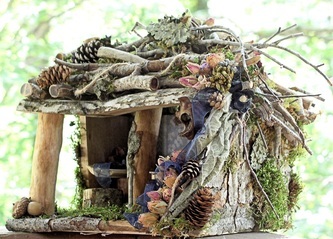 Buy a fairy a woodland fairy house and think of the happy joyful energy that will surround your home and your life when you add this fairy cottage to your house. 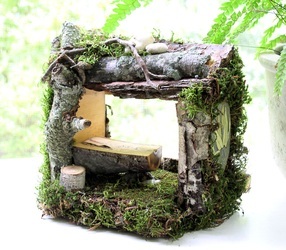 I have come to realize there is much we do not see. 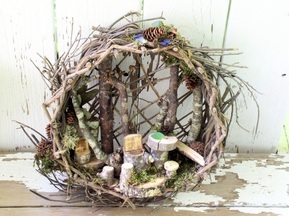 I think there was a time very long ago when magic and fairies and unseen friends were a part of our world or more to the point we were a part of their world. 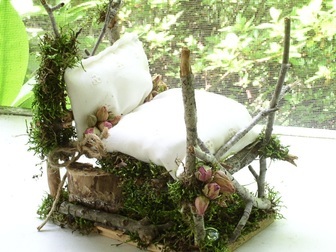 As we stopped believing, the veil between our worlds fell back down, darkening the light, and now only a few see, feel and understand what is Between the Weeds. The true law between all realms is do no harm. 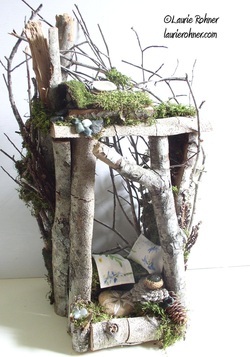 Do no harm, what a concept, it refers to all in the natural world, from rocks and trees to plants and animals(us too) and all things unseen who live within no exceptions. 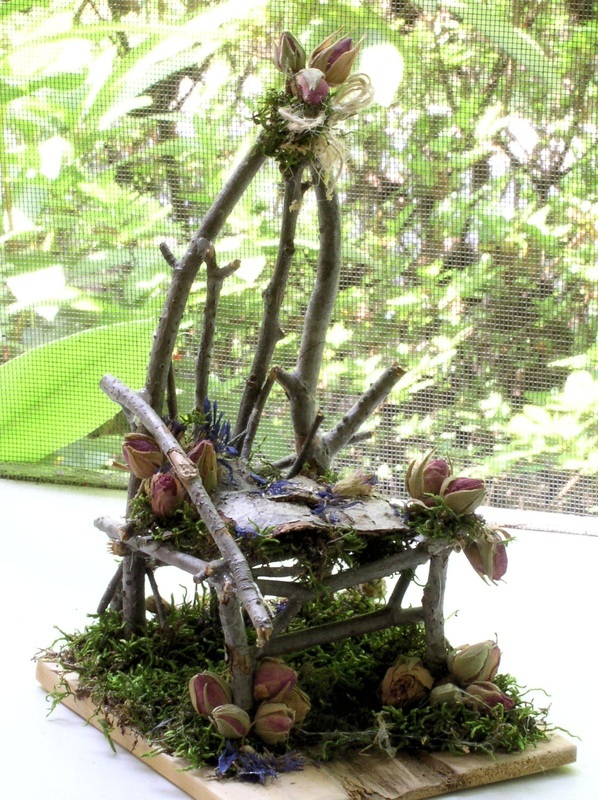 Yes I do believe in fairies. 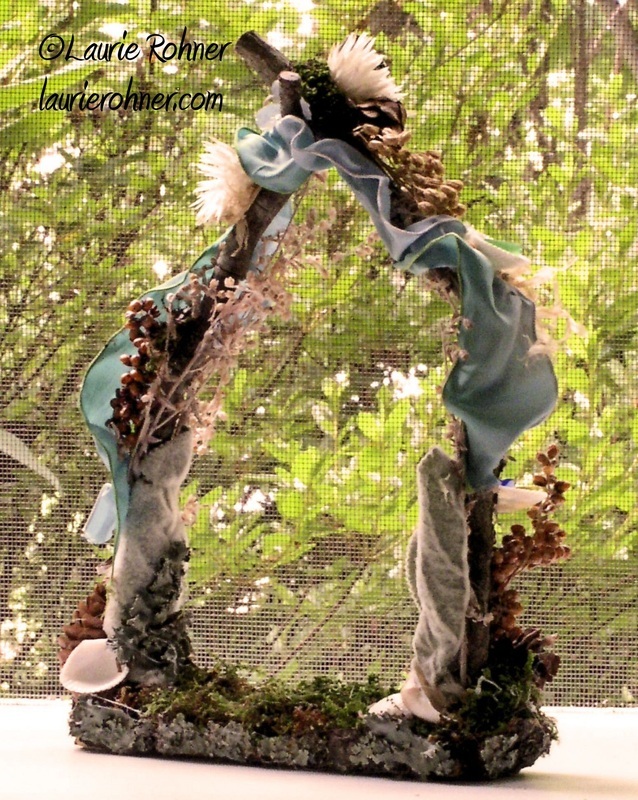 I decided to shine a light and catch a glimpse of these wonderful beings. 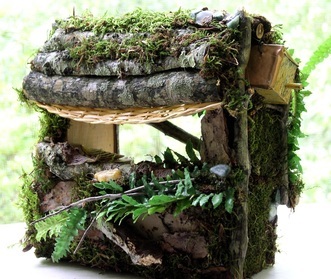 They care for the natural world and ask for little in return and without their help it would be a very different place, much worse I suspect. 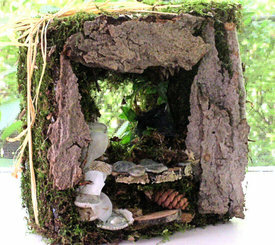 I open myself to the energies that surround me everyday and live in harmony with this realm we have long forgotten. 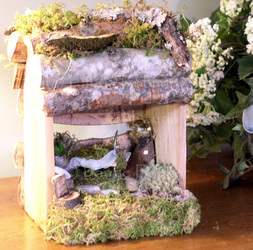 I give aid where I can with my loving energy in creating fairy houses. 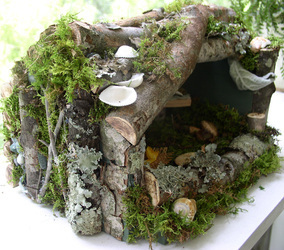 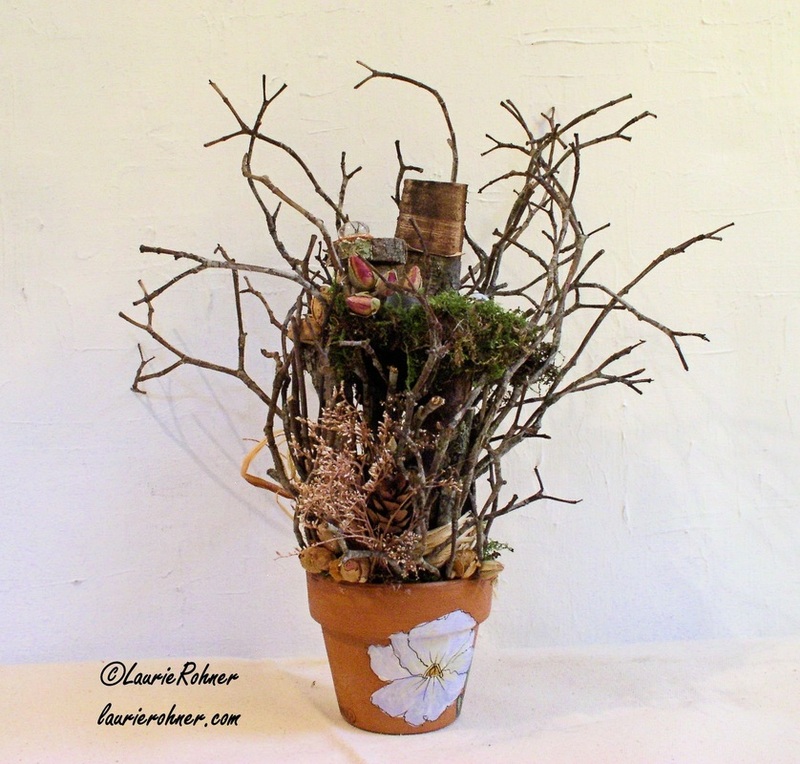 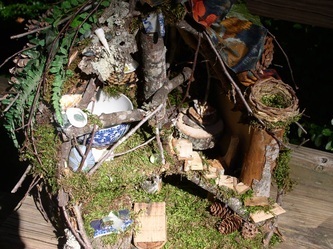 How to care for the woodland fairy house. 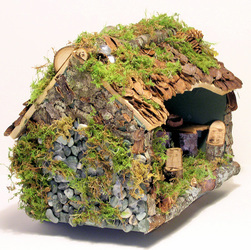 All my houses are unique and custom crafted. 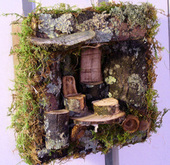 If placed outside expect only 1 maybe 2 years before the environment plays its part. 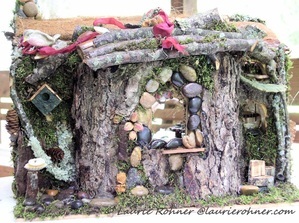 Will last much longer in and mist the houses ever so often with water or I like to use Lavender added to my water, this keeps them from drying out. 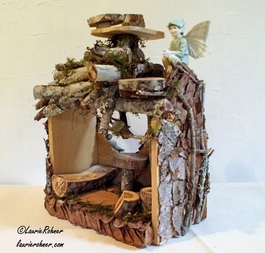 *Beautiful fairy house! 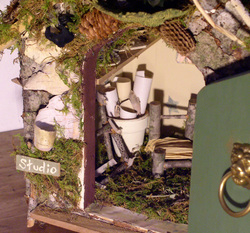 The packaging was lovely, thanks a lot! 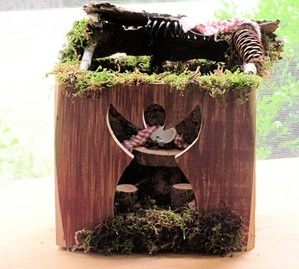 *Absolutely divine! My mother says this is the best gift she ever received! 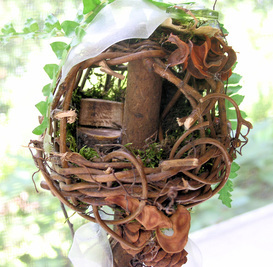 Thank you so much for making such glorious treasures! *Very pretty and just the right size for my fairy bug! 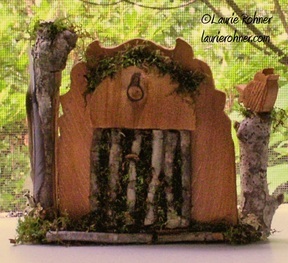 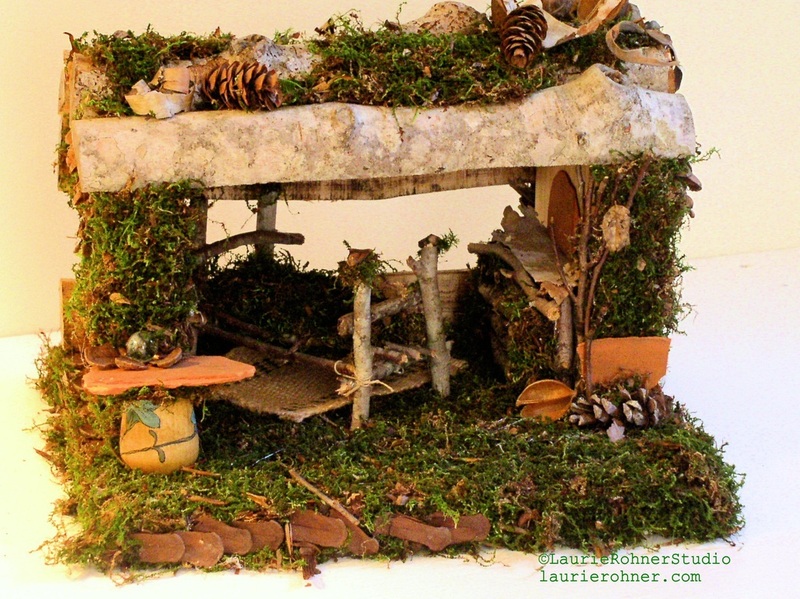 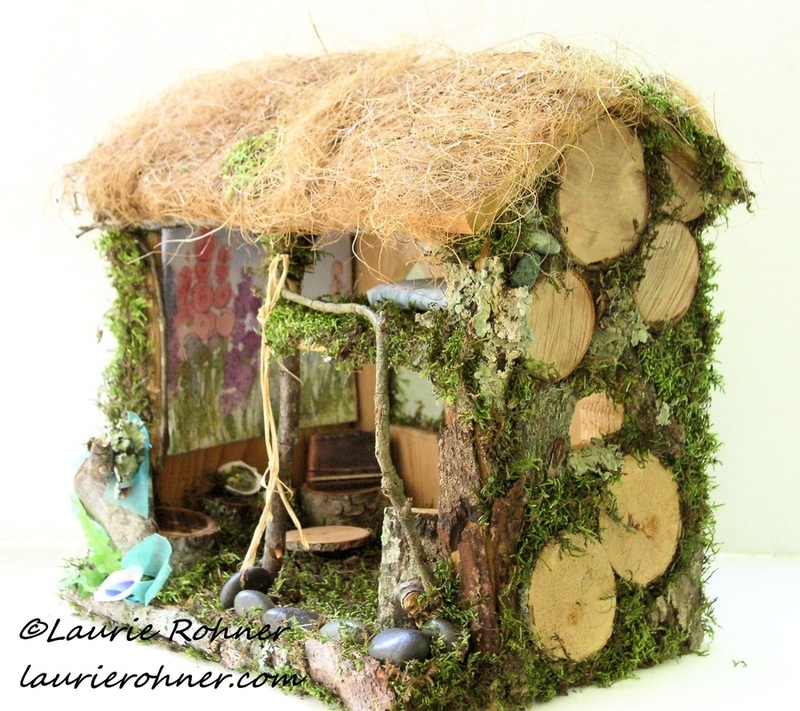 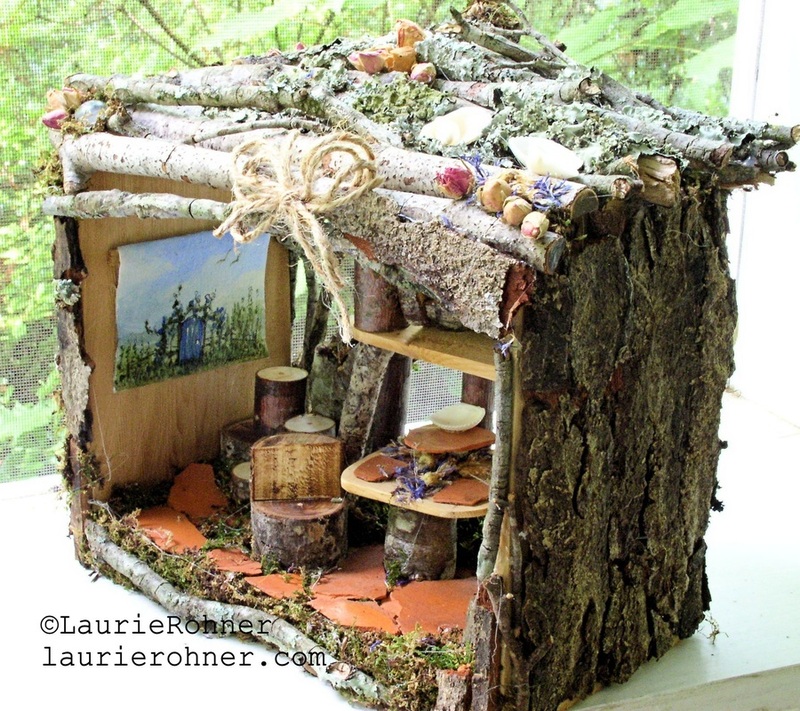 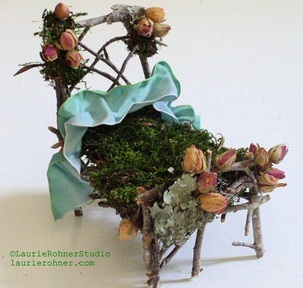 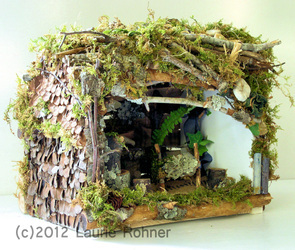 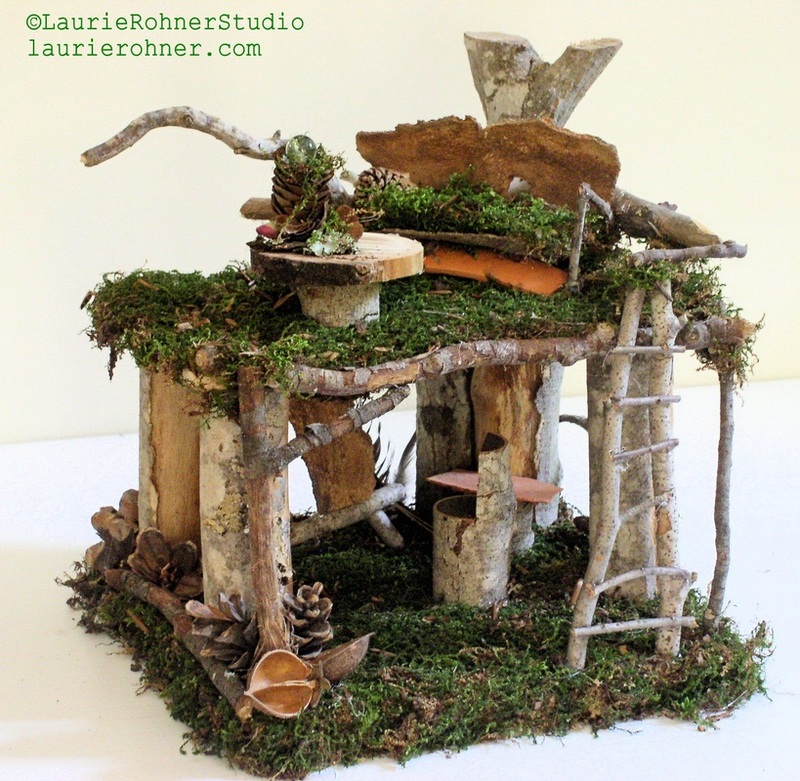 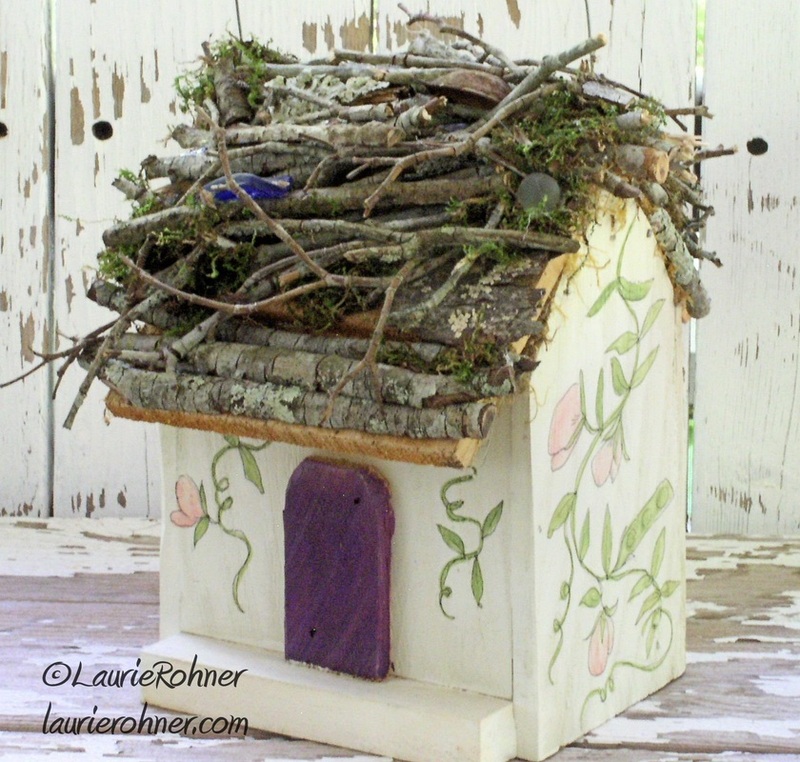 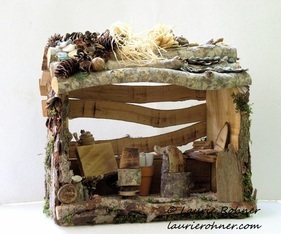 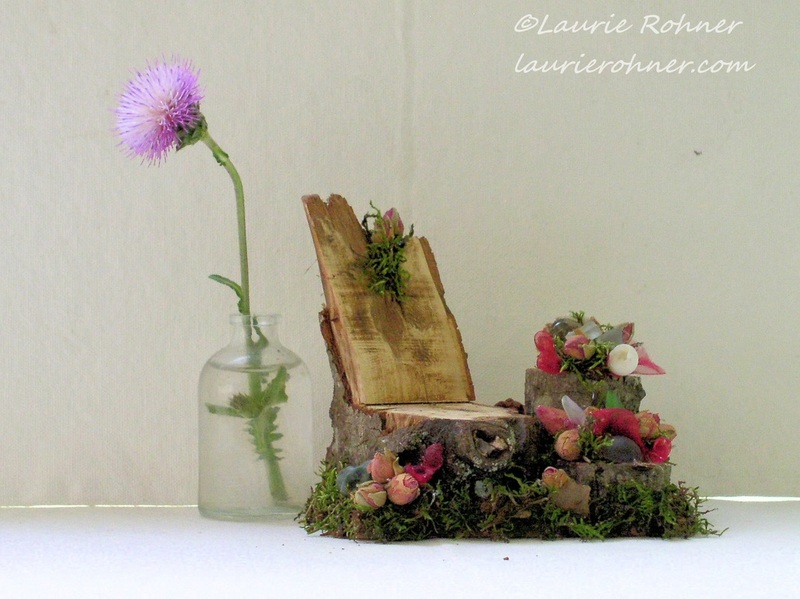 *Dear Laurie our Fairyhouse arrived today and it is simply marvelous. 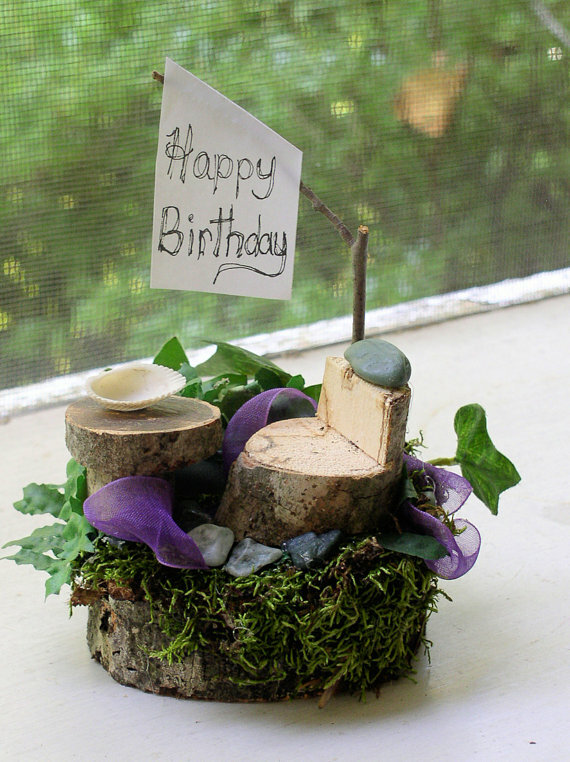 Your handwritten note makes it all the more special. 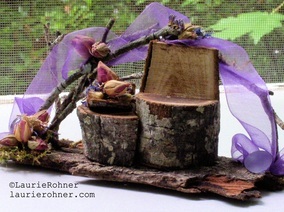 I can't wait to give it to my daughter-in-law for her birthday , she will just be tickled pink. Thank you so much for creating it and sending it so quickly. 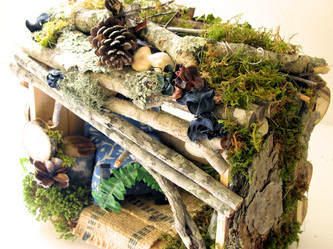 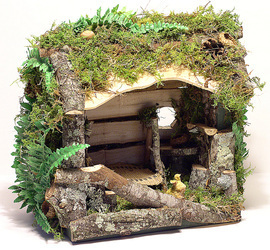 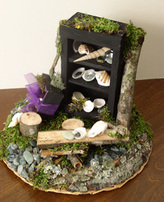 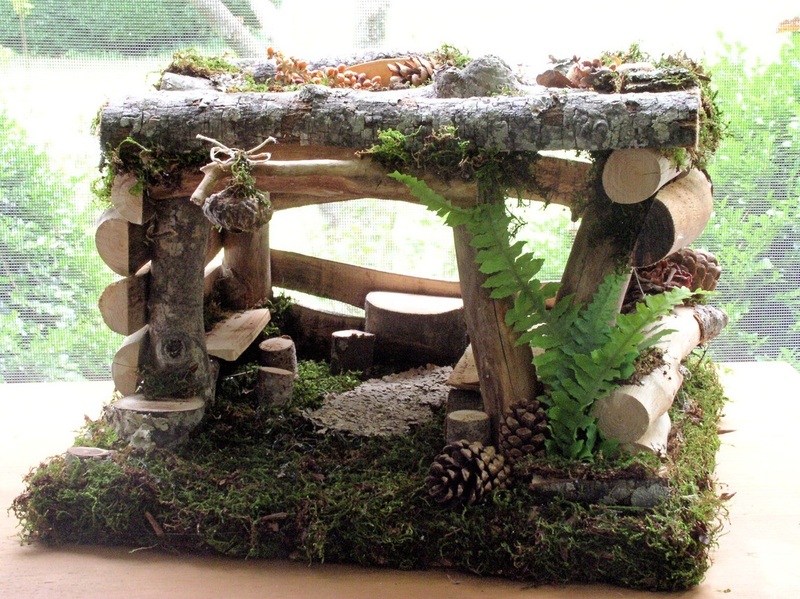 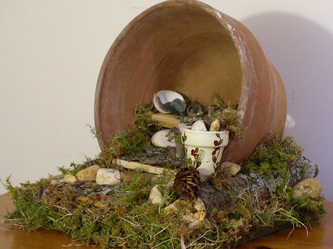 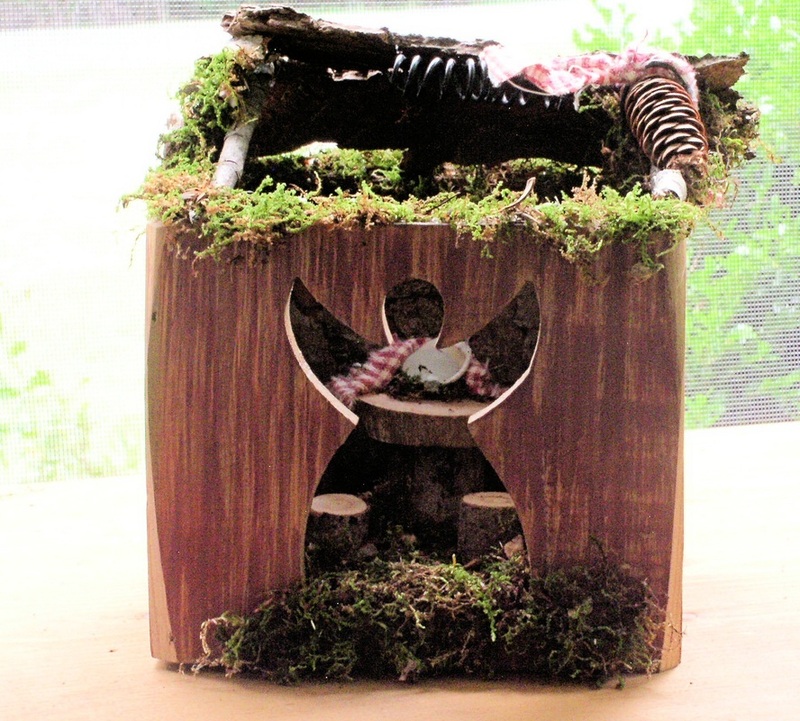 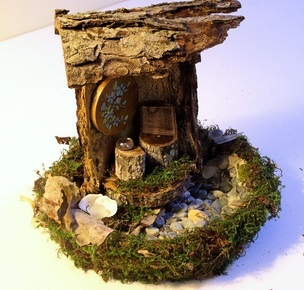 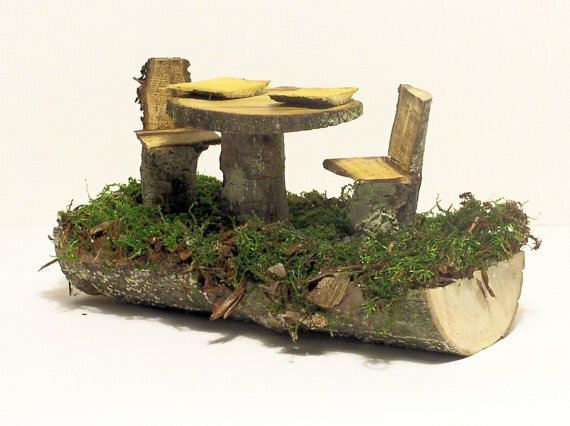 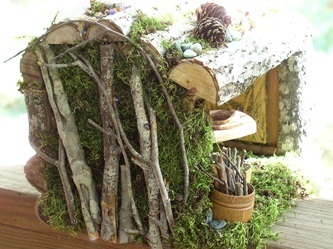 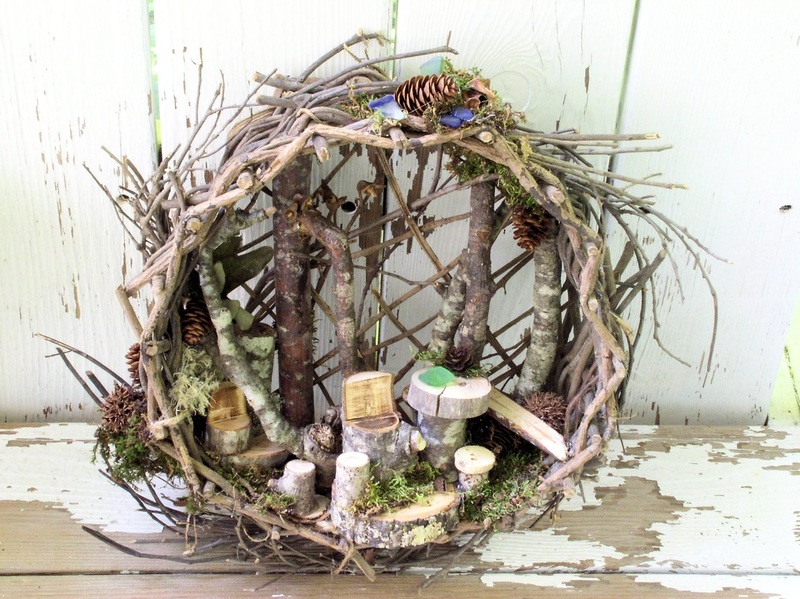 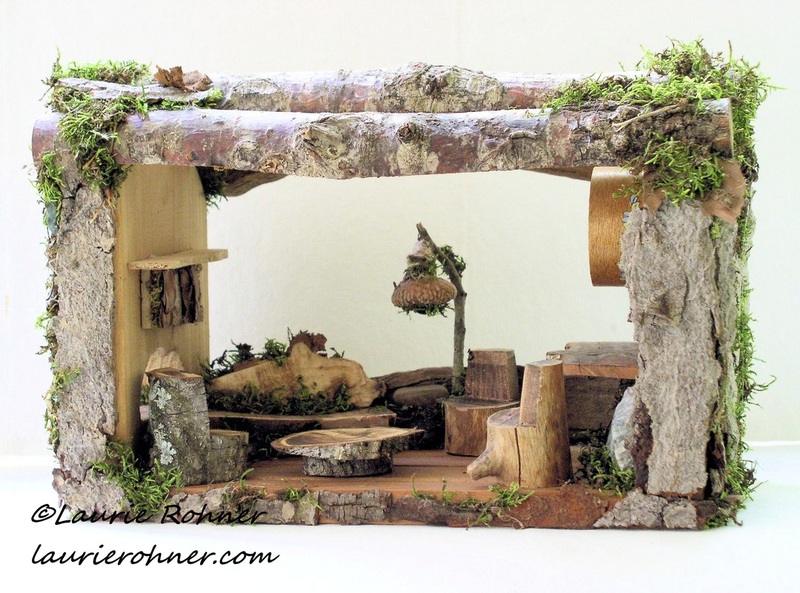 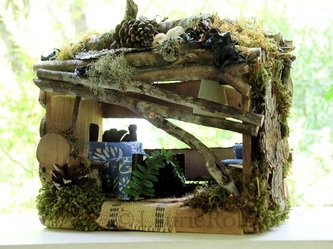 Woodland fairy houses are handcrafted with handmade fairy furniture. 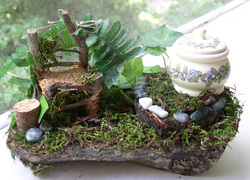 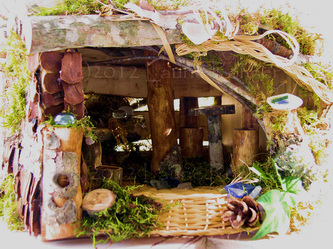 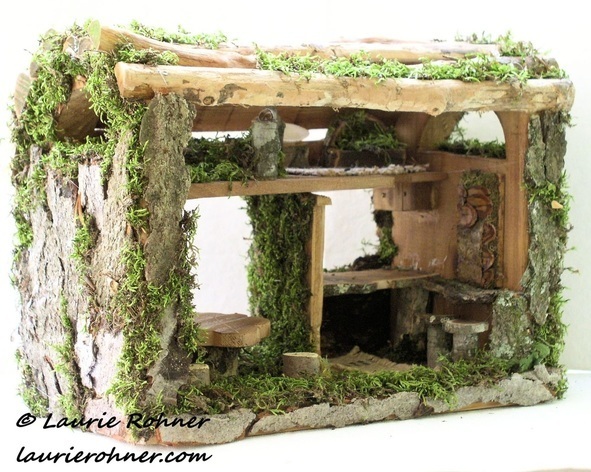 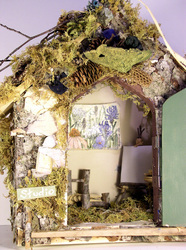 Sold woodland fairy houses and fairy furniture.